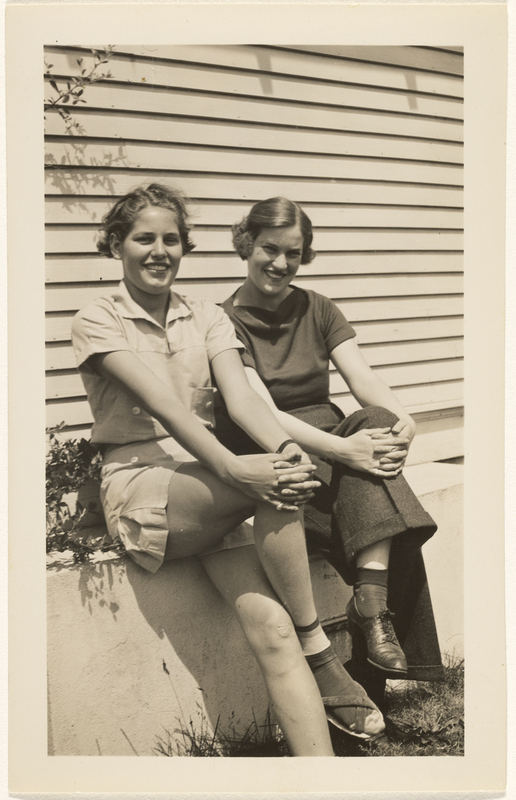 Two young women sitting side by side on a concrete ledge. The women are sitting in identical positions with one leg crossed over the other. Each woman has both hands resting on her knee. Gail Pine, American, born 1951 (California) and Jacqueline Woods, American, born 1965 (California), sold to Michael and Sharon Blasgen and Michael and Jane Wilson, 2006. Michael G. Wilson (California) and Jane Wilson (California), donated to the J. Paul Getty Museum, 2007.